Press Release: Crimson Events - Ideal Venue for Weddings in Lahore...!!! 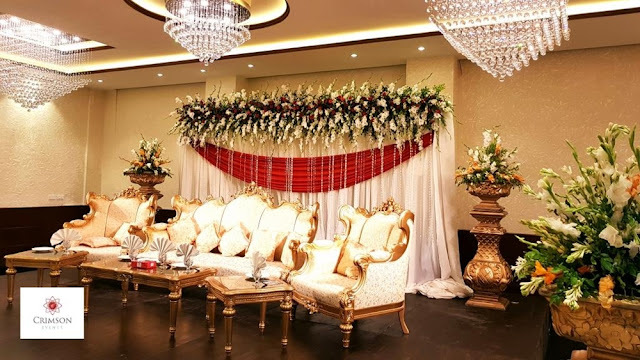 Crimson Events, Lahore’s premium event complex, is the ideal wedding venue this season. 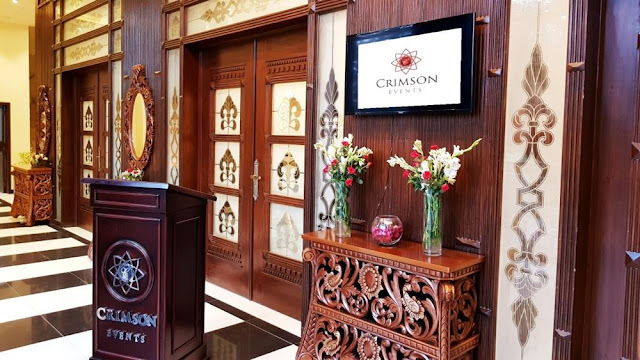 Since the launch of the venue earlier this year, Crimson Events has hosted numerous high profile wedding functions, making it one of the most sought after wedding venues of Lahore. Nestled in the heart of the city in New Garden Town, the sophisticated urban setting of the venue makes it the perfect location for lavish weddings. The striking entrance creates an impressive sense of space and classic modern elegance. 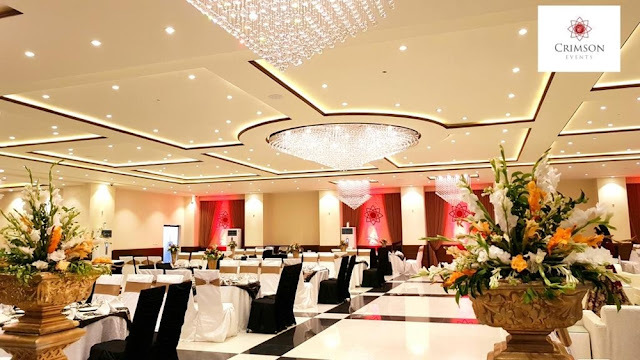 The luxury banquet hall boasts natural lighting, an opulent décor, a mood lit ceiling and a grand crystal chandelier. Crimson Events also offers an in-house catering service, which is easily customizable to suit the requirements of the clients. They offer a variety of cuisines including Pakistani, Pan-Asian and Continental. Mr Muneeb Irfan, CEO/Director, Crimson Events is delighted by the response the venue has received in a short span of time. Speaking further, he adds “We are elated and grateful to almighty Allah for the post launch response & appreciation that we have received. We are also thankful to our patrons for their support & encouragement. We continually aspire to maintain our client centric approach & make every event exceptionally memorable by adding the Crimson touch. I invite you to experience our top class food, stellar service and outstanding ambience”. A premium event complex for personal, social and corporate events. Location: 9 - Civic Centre, Barkat Market, New Garden Town, Lahore 54700 – Pakistan. Nice venue in the wedding scene of Lahore. Really like their food! I am glad to see more of such venues emerging in many cities of Pakistan. They sounds great, nice post.